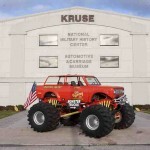 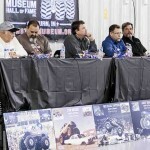 The day began on the north side of the museum, where the inductees held the annual Monster Truck History Discussion, answering questions and sharing stories about the good ol’ days. 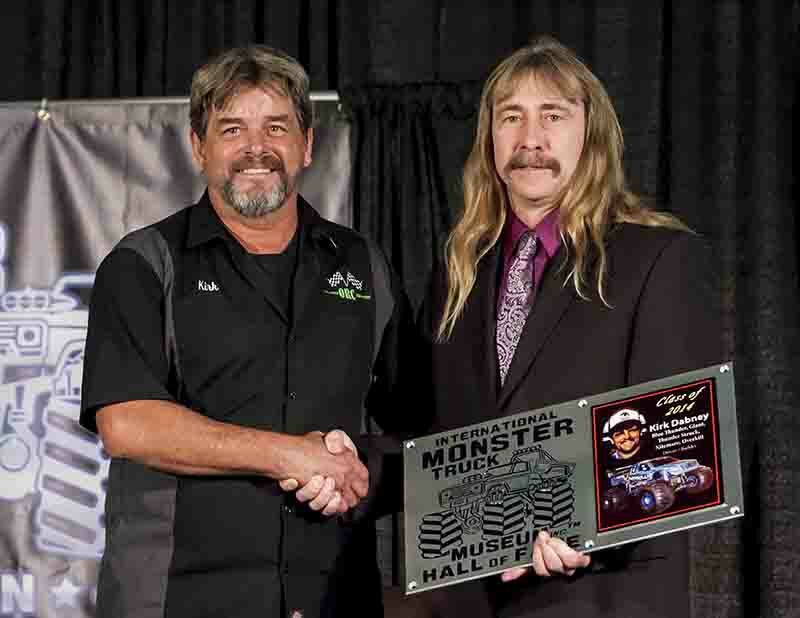 IMTM board member and first ever inductee Bob Chandler of Bigfoot started what could be a new tradition in this annual meeting by asking the inductees the first question. 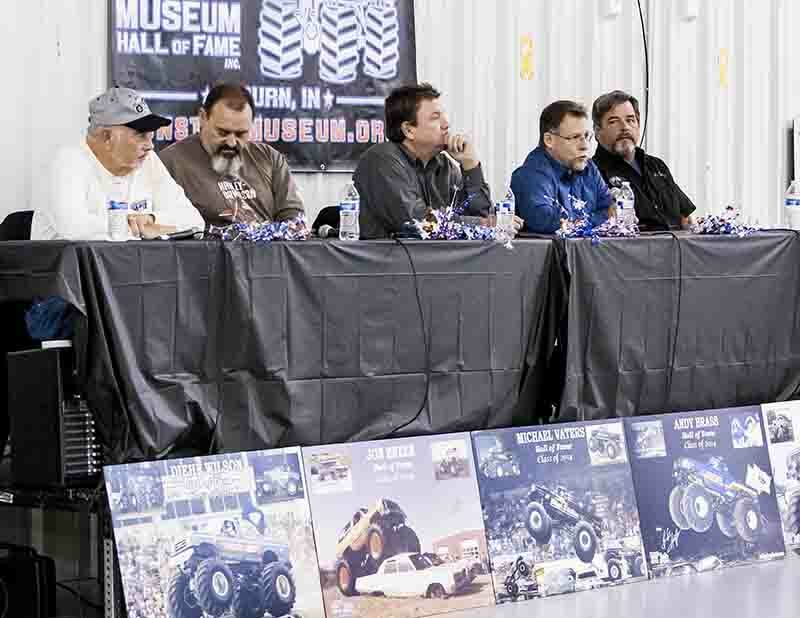 Inductees and attendees alike enjoyed hearing about the sport’s history so much that the discussion ran longer that scheduled. 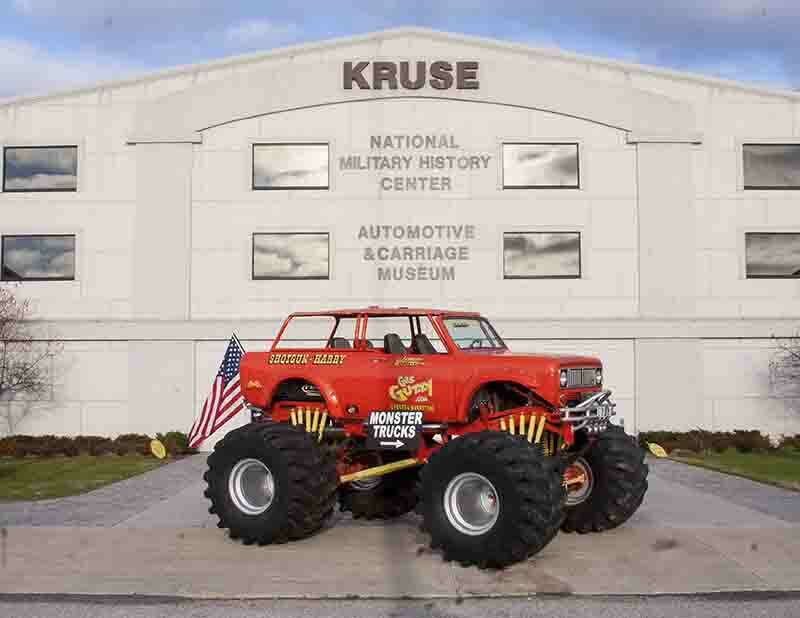 As the sun set on the clear, chilly northeastern Indiana day, the hour was at hand. 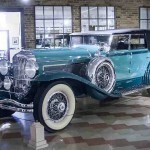 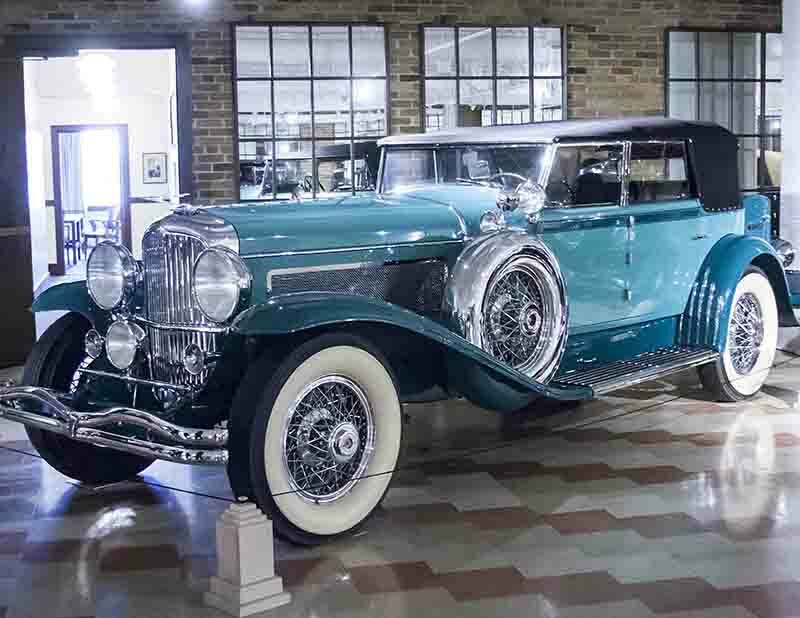 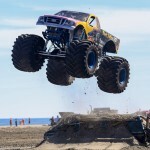 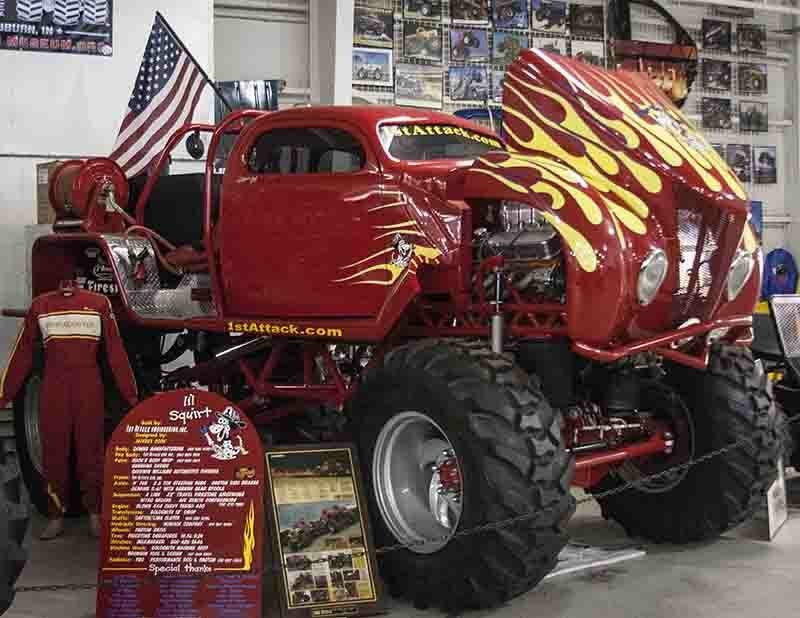 A delicious hearty meal was served as historic monster truck footage, most of which one would be hard pressed to find anywhere else, was shown on projection screens. 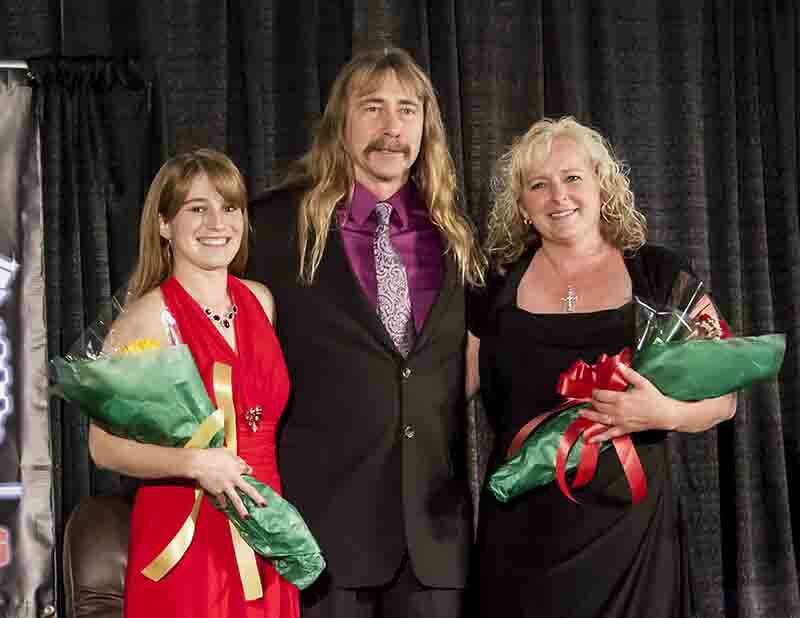 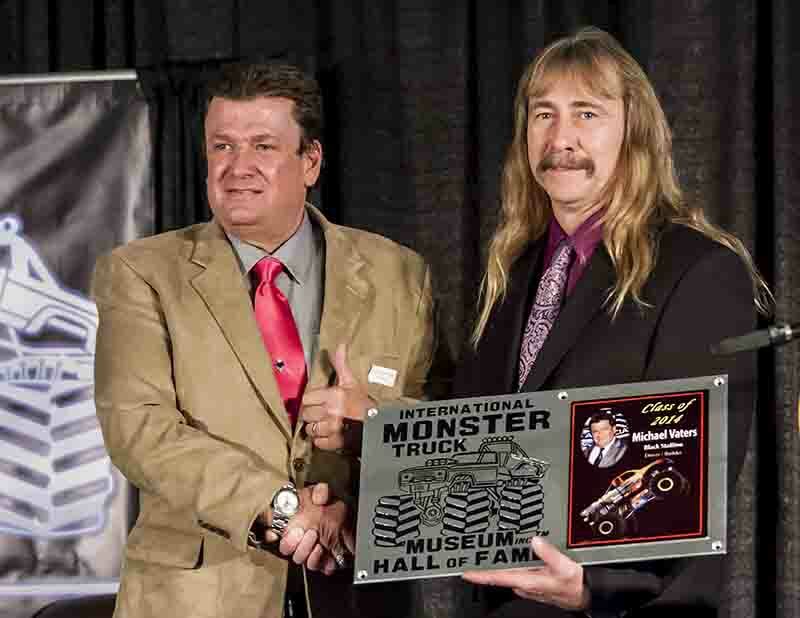 The inductees were clearly humbled to receive this honor. 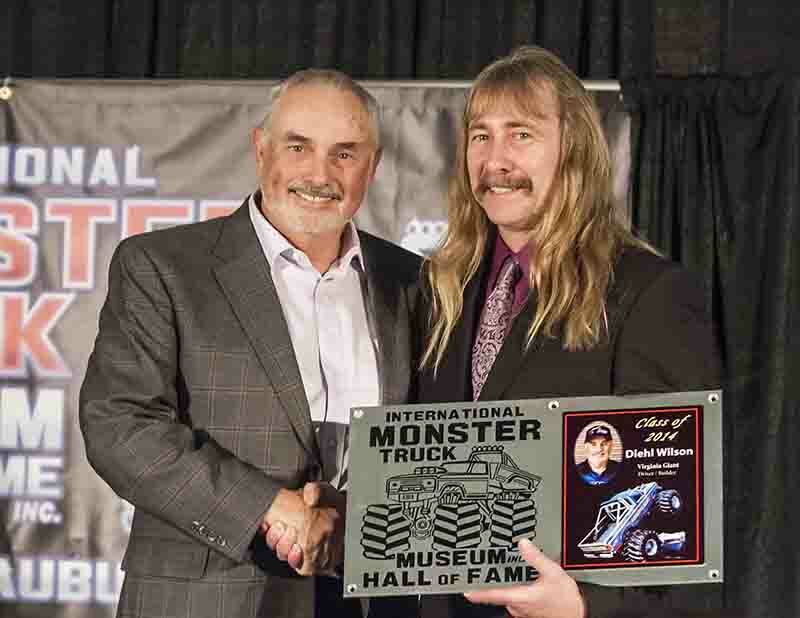 This was especially the case with both Vaters and Dabney as they made plans to say thanks to the Hall of Fame by rebuilding their respective monster projects for display in the future. 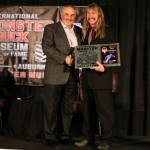 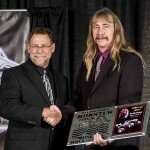 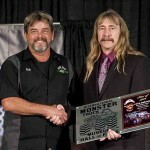 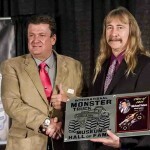 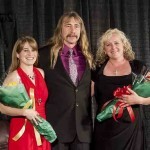 And as each inductee’s interview with TheMonsterBlog.com’s Ross Bonar ended, the audience’s applause for the new Hall of Famers were long and loud. 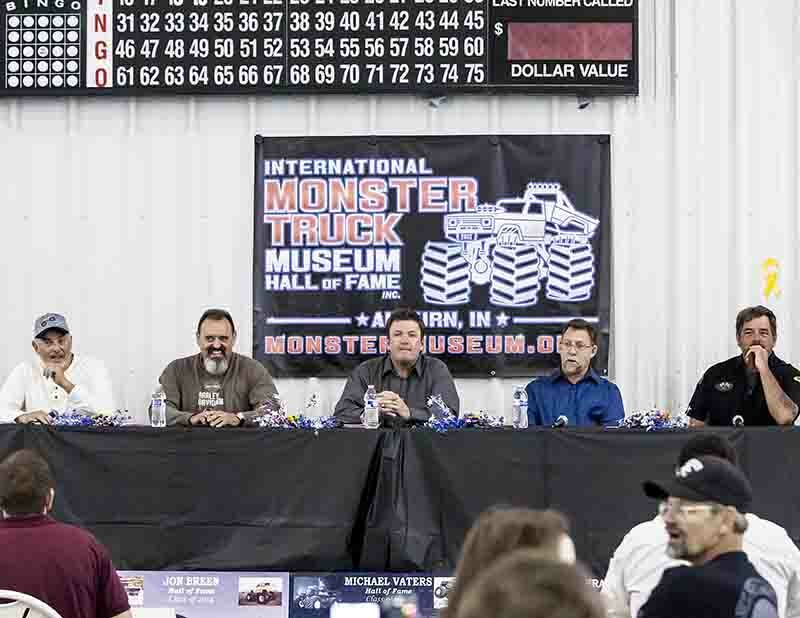 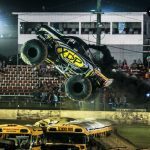 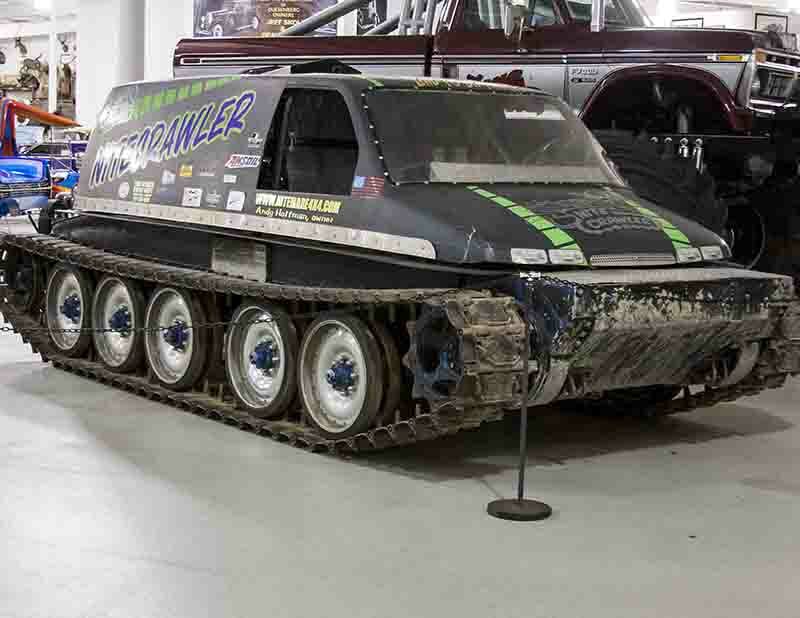 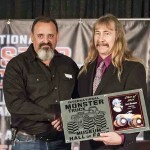 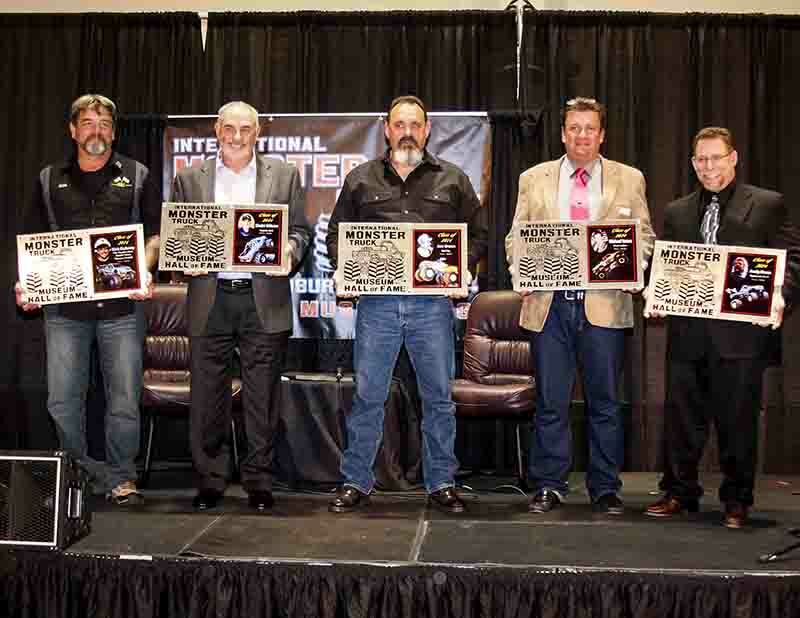 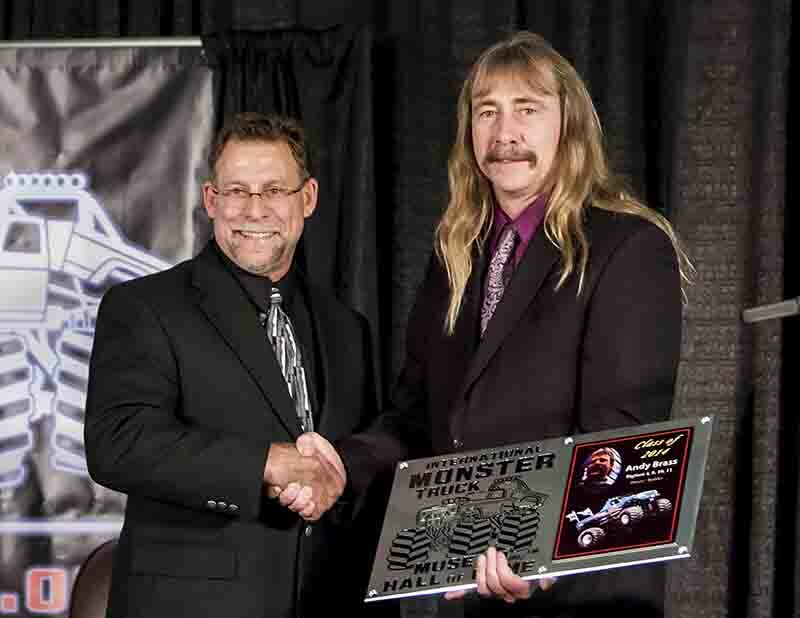 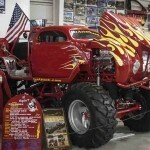 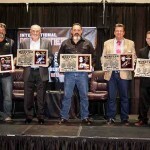 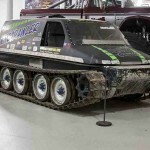 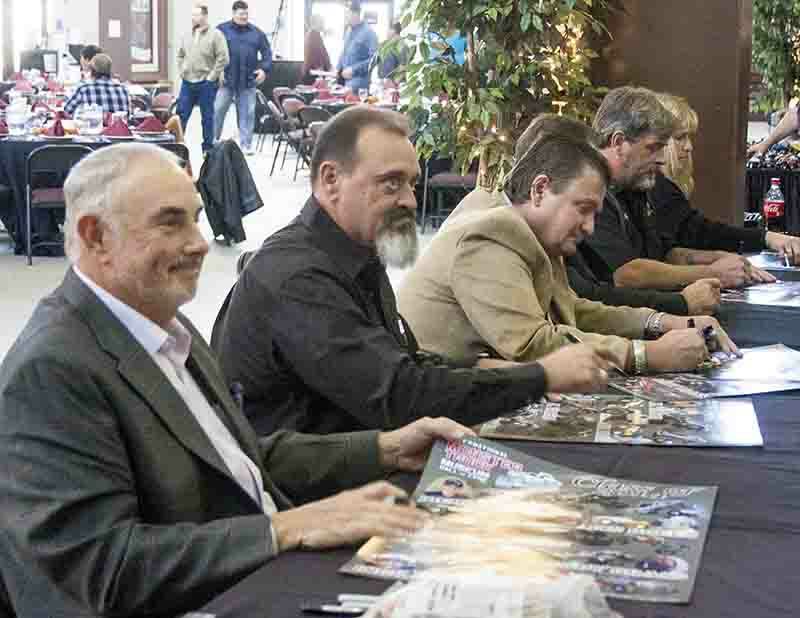 Finally, for the third year in a row, an auction was held to benefit the International Monster Truck Museum to end the night. 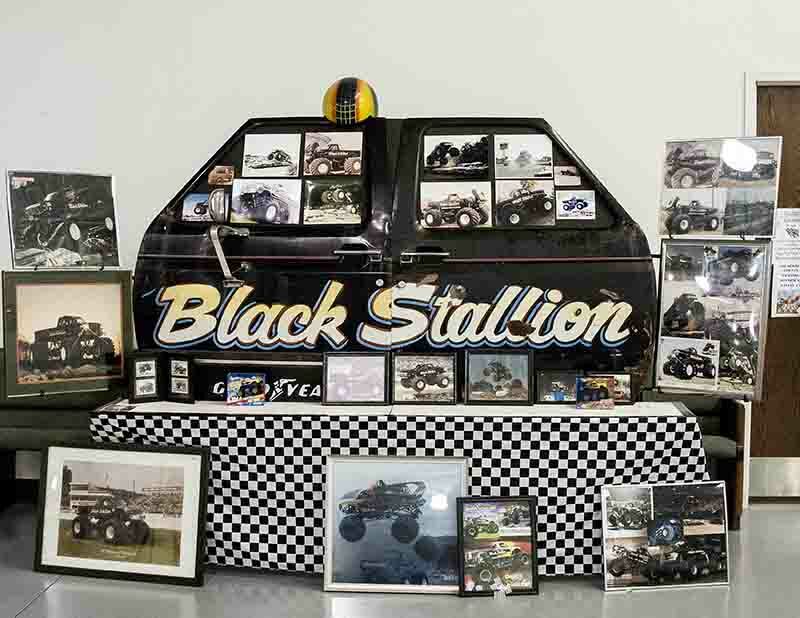 And in very single bidding case, the drama was intense. 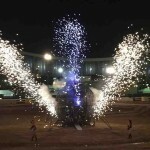 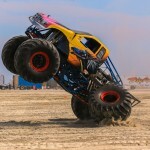 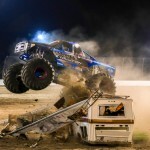 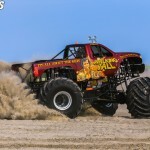 We strongly encourage anyone who loves monster trucks and the sport’s history to make next year’s event a can’t-miss. 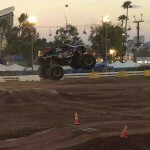 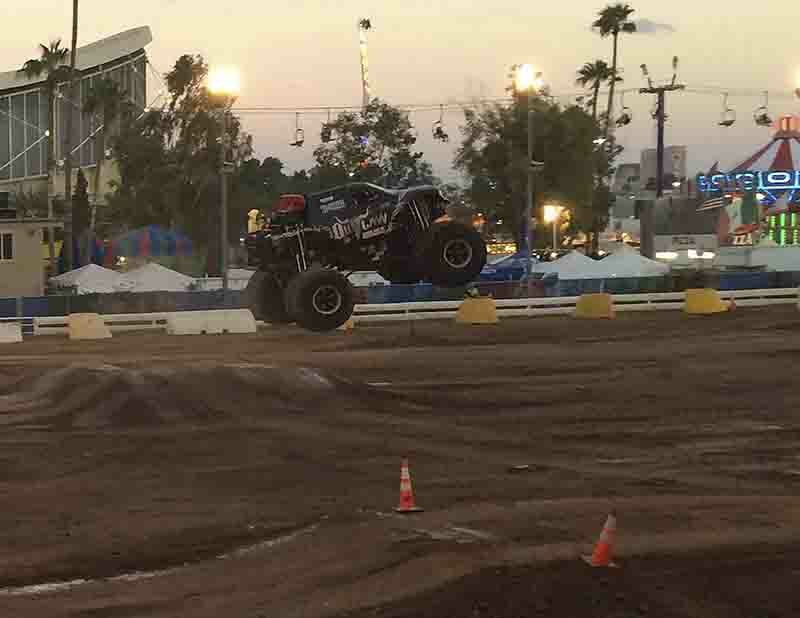 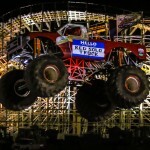 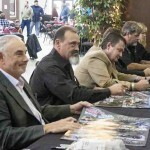 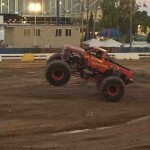 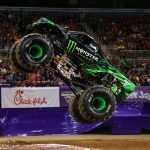 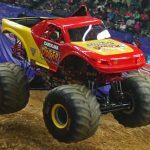 While Jim and Christopher were enjoying the 4th Annual Monster Truck Hall of Fame, guest reporter Carol Allen attended the Arizona State Fair where ProForce Productions held their inaugural event. 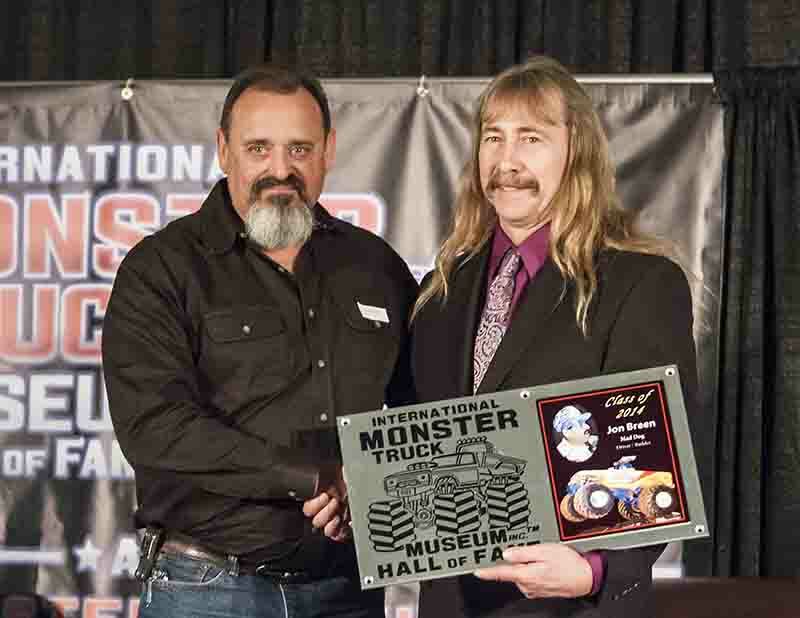 President Jamie McNutt brought the always popular Jimmy Creten and Bounty Hunter Yellow, Dawn Creten in Iron Outlaw and the “Flying Spaniard” himself, Tony Canedo driving Play N’ 4 Keeps. 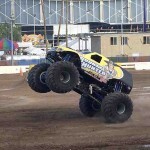 The popularity of the monster trucks was evident as the bleachers were packed to capacity for all six shows. 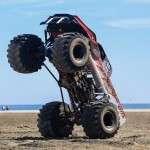 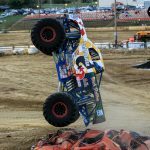 The weekend culminated in a backflip by Jim Creten in Iron Outlaw. 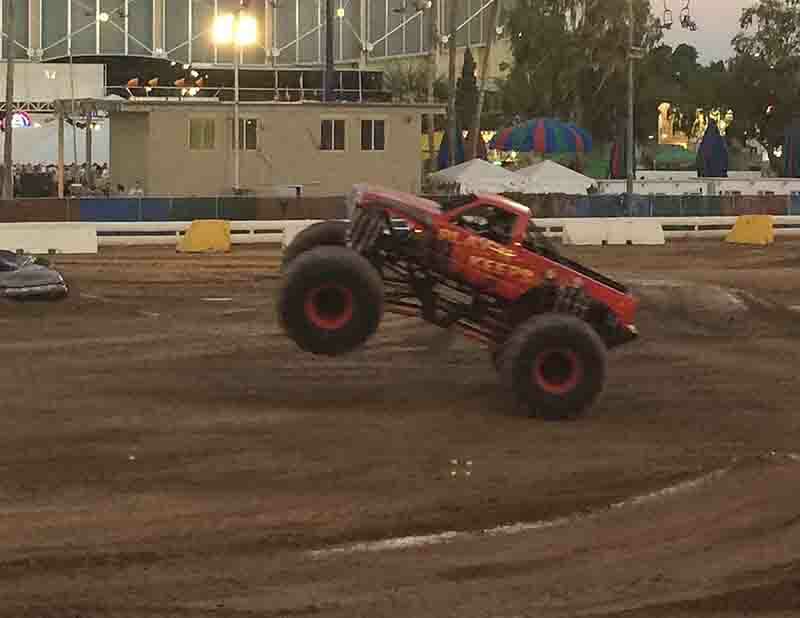 Announcer Lloyd Massey’s efforts to get the crowd involved was made easier by the enthusiastic support monster truck fans gave the drivers. 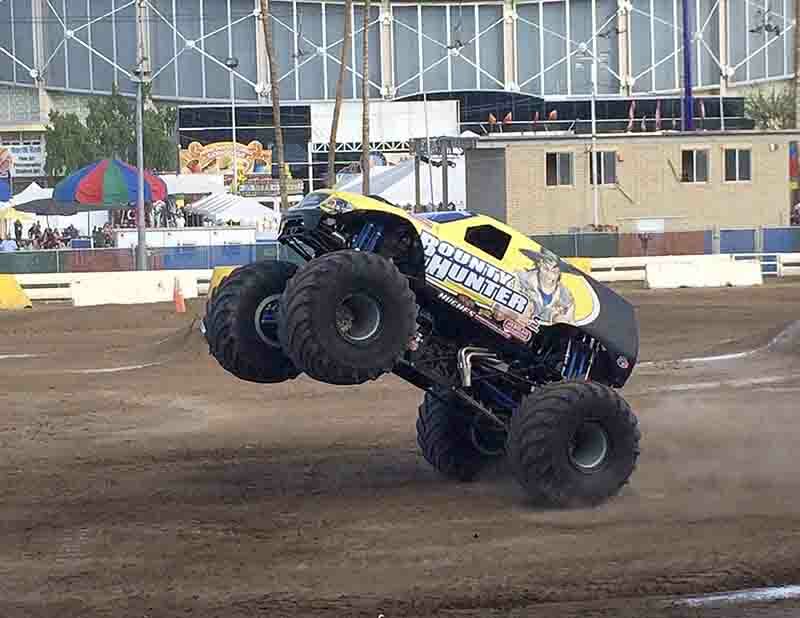 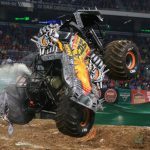 Dawn Creten and Tony Canedo entertained the monster truck loving crowd with wheelies, some donuts and by jumping various obstacles. 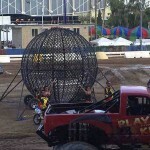 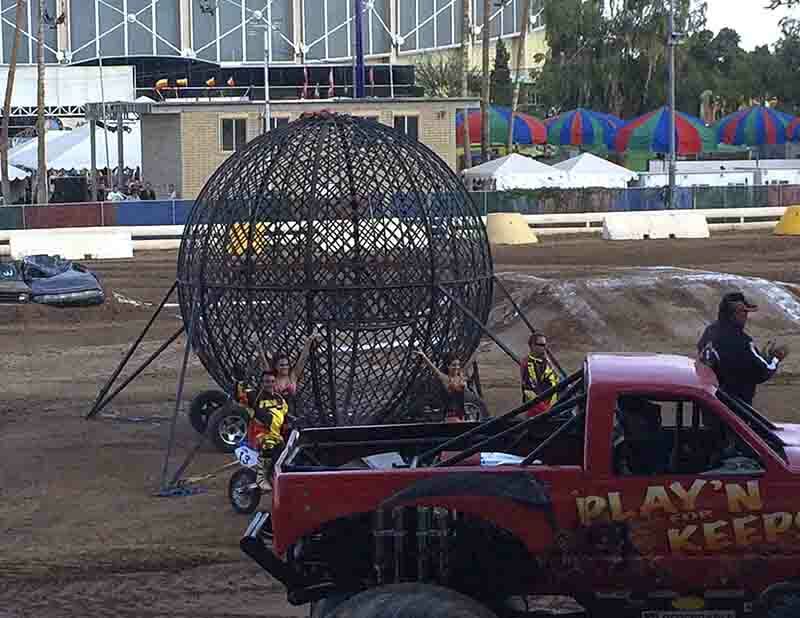 Also, an act new to the Arizona State Fair, the Globe of Death appeared, with the daredevil motorcycle riders amazing the crowd with their gravity defying stunts followed by some very nervy tuff truck competitors. 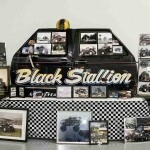 Carol would like to personally thank Loren Saubel, Jamie McNutt and Phil Vicinanza for their kindness and support. 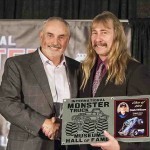 That’s a wrap for us at “The Allen Report” for the year 2014 as we intend to enjoy the first quarter of 2015 simply as fans. 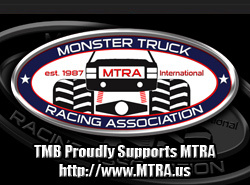 But don’t worry monster truck nation, it won’t be long before you hear from us again. 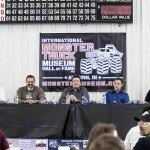 So, thank you for reading, a special thanks to the IMTM for hosting this great event once more, enjoy the photos and cheer on!